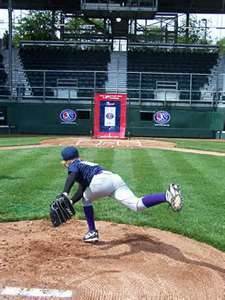 How to set goals and why to set goals are every bit as important to a little league coach, newbie or experienced, as it is to a major league baseball manager. Simplistically speaking, a major league manager doesn’t set a goal of signing a young shortstop, for millions a year, if he already has an all-star shortstop on the team. However, if the manager feels the current shortstop, star or not, is in the twilight of his career, he may have set a goal of obtaining a player who can be tutored by the star and eventually take his place upon retirement. You may argue this is just good business sense or looking ahead, and of course you’re correct, but I like to view it as the manager having a goal to keep the team winning and the new player is a cog in that goal to insure a smooth transition. 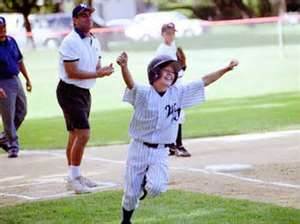 I’m going to teach you how to determine which goals relate to a youth baseball coach and how to implement them? (a.) It’s important to physically see the accomplishment of achieving a goal.. (b.) It is quite easy once the season begins and the hectic rat race begins, to lose track of your goals..
(c.) Goals are there to aid you in running the team, a map or blueprint, use them. We’ll take the example of a brand new coach who knows his son and possibly one or two of his friends, but other than that, has no idea what the rest of the team is like. Since he can not make specific goals, because he has no information on which to base them, he creates initial goals. These goals do not have to be in depth, in fact it’s quite possible the simpler the better. Example of Initial Goals: You do not have to use all of these suggestions, as they are there to use as a guide and to provoke your own thought process. (1.) Although size, or lack of it, does not equate to player skill, it is more relevant in young kids as size usually means strength. During the initial team meeting make a mental note of the sizes of your players, as a 5’10” kid on a team of 5’5” players would probably make a pretty good choice to play first base. (2.) Infield Practice. 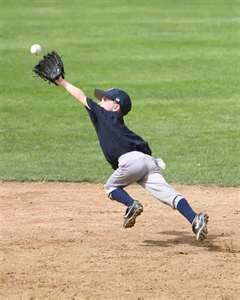 Spend an entire practice session hitting grounds balls in order to evaluate fielding skills and arm strength. (3.) 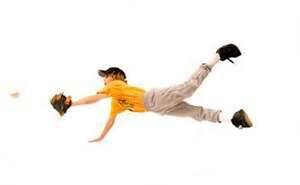 Outfield Practice. Spend an entire practice hitting fly balls to the players. (4.) Evaluate player positioning. Ask the kids what position they want to play, be sure not to commit to anything because eventually little Johnny’s dad will be asking you why he isn’t pitching when you said he would. Kids are people and people have a tendency to hear what they want. You have completed your goals, now it’s time to review and evaluate. (1.) You’ve determined you have a team of average sized players, maybe 1 or 2 a little overweight, but you’ll run that off them in pre-season. (2.) 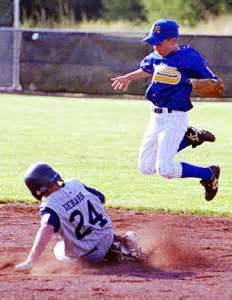 You’ve decided what players, at least currently, are the best choices to play the infield or outfield. (3.) Some players are where they want to be playing, others not, but it’s important to explain team work and they are positioned where they are because you think they’re darn good at the position. The time of theory and evaluation are over, it’s time for a practical set of goals in which to train the team for the upcoming baseball season. In order to learn there must be a repetitive building block program designed to reach a specific goal. A haphazard practice session is not only unproductive, it’s chaotic and could do more harm than good. Example of Practical Goals: Practice session between 1 ½ and 2 hours. (d.) Fielding responsibilities on a bunt … etc. You have trained the players the best you can on the Basic Skills required to play the game. You know areas which require more work, however game conditions are required to further evaluate. (1.) You know the bottom part of the lineup is weak and requires more work. Certain goals remain constant and are never reached because perfection does not happen in baseball. Therefore, the constants of infield, outfield and batting practice do not change, they’re always practiced although sometimes in different degrees as the situation calls for. (2.) Work on Communication between players. Too many mistakes. (2.) Work on base running skills. Lost 3 runs we could have scored. (2.) Extra Batting Practice Only. Need to score runs. As you can see the goals will change after each game, sometimes drastic, sometimes just a tweaking, but there’s always a goal to improve on. You’ve heard the adage “shoot for the stars and if you fail, you still hit the moon” or something like that, and there’s also the other train of thought of “Don’t set yourself up to fail,” another old adage. Setting team goals is a very personal and individual thing, as of course every team and every situation is different. Therefore, there is no “Cookie Cutter” formula that works every time for everyone, but I can give you some sound advise. Goal (1.) Always Expect More Out of Your Players. This does not mean to yell, scream and throw things in the dugout during the game because a player made an error or struck out. This means always be on the look out of how to teach your players to become better. You notice a certain player had 2 hits to the outfield during the game, which only resulted in singles, but after watching him you realize if you taught him how to cut first base properly, he could have had 2 doubles. Instead of being happy with the 2 singles, look for ways to improve the player. Goal (2.) Eliminate Mental Errors. Physical errors will rise and fall every game, every season, it’s a fact of life which goes all the way up to the Major Leagues, as a Gold Glove award, few physical errors in a season, is quite treasured and is used as a hammer during contract talks resulting in millions of dollars one way or the other. 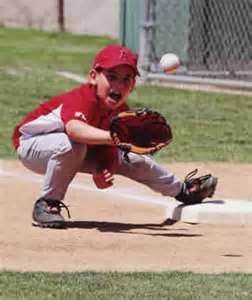 The goal is to teach your players to be mentally prepared and sharp, knowing what to properly do with the baseball in any given situation or where they should position themselves on every possible play conceivable. When you correct a player’s mental mistake, that stays with him forever and most likely he’ll never make that mistake again. Correct a fielding mechanical mistake and the player will still misplay the ball, kick the ball, and drop the ball throughout his career. We’re all aware of the saying “don’t underestimate your enemy,” and I have absolutely no qualm with that adage, but in baseball there are other things which are ill advised to underestimate. (1.) Never underestimate your players’ abilities. Saying that I must add, using good common sense. There are many fine lines in life, between love and hate, between arrogant and confident, etc. and it’s important you learn to analyze your team with a logical analytic approach, removing the emotional factor. If you are in the position to place your team in competition with a better team, do it. You very well may be surprised at how your team will play up to their opponents level, improving with every challenge. Be careful of the flip side of this coin, because you don’t want your ego placing your players in a position of being totally overmatched and literally drummed off the field. One must use a bit of common sense. (2.) Don’t underestimate the power of your coaching and influence. Unless you’re one of those people who are the best at everything they do, or haven’t done yet but will be the best when you do, you know if you’ve done a good job coaching your team. I don’t mean an undefeated season, I mean your team has grown skillfully, mentally and emotionally throughout the season. This may seem arrogant, not intended that way, but don’t underestimate what you have done. You have set goals and hopefully reached everyone of them. That’s an accomplishment.